Abstract: The paper deals with the relationships between people and waste in the Middle Ages, primarily in urban environments in Central Europe. 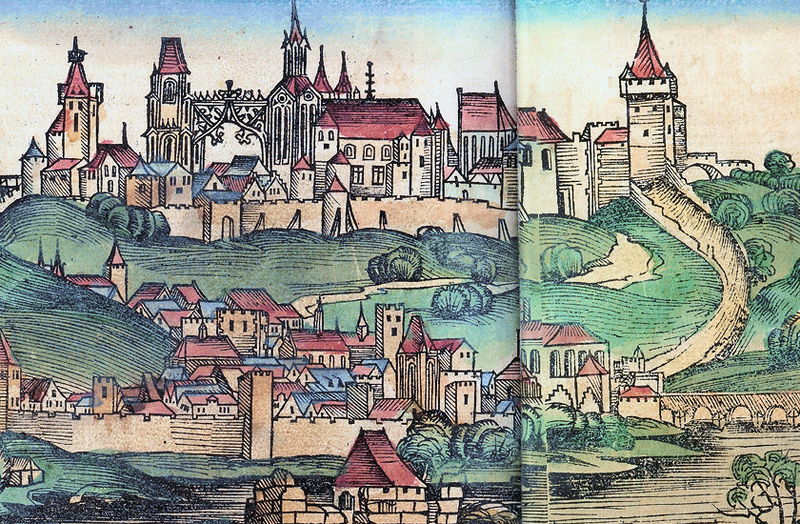 At the center of interest are the attitudes of the inhabitants of medieval cities towards cleanliness and a description of different waste management practices. This paper also describes an experiment using ashes to launder clothing as one possible use of a particular waste material. Introduction: Today, when people think of the past, they often attribute a sense of backwardness to our ancestors. This opinion seems to be stronger the deeper we delve into human history — and pre-history. This view clearly stems from the linear view of human progress over time; history has gradually led from primitivism to today’s “perfect state of progress.” But we are often surprised when we discover historical facts that reveal how advanced—technologically, artistically, or otherwise — our predecessors were. And the further back we go in time, the greater our surprise. Similar prejudices prevail in how we imagine the sanitation and waste management practices of our predecessors. Another common belief is that societies that produced only organic waste did not have to deal with waste management because everything they threw away decomposed on its own. This stereotype, however, cannot really be applied to any actual society. It cannot be assumed that if only organic waste was produced, its presence did not need to be dealt with. The Middle Ages are generally thought of as the dark ages. Perhaps how medieval society viewed public space or the hegemony of the Catholic clergy who called for purity of spirit at the expense of bodily cleanliness (see further) contributed to this conception. Well-worn images of people dumping waste from their windows; narrow, muddy city streets; and ubiquitous dirt and disease are applied to the entire Middle Ages. The aim of this paper is to re-examine the above-described views of this period.